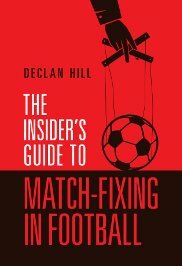 Canadian journalist/ academic Declan Hill launches his new book The Insider’s Guide to Match-Fixing in Football in Toronto on Wednesday. It’s described by its publisher (Anne McDermid Associates) as “an academic book for non-academics” and draws from Hill’s PhD thesis at Oxford University. Q: We heard about corruption of a sort in the London 2012 Olympics, when eight badminton players were disqualified for deliberately trying to lose matches to get easier draws. Do you expect to see anything untoward in the upcoming Sochi winter Olympics? A: Yes, of course. Look, that type of corruption, the corruption you’re speaking of, is the kind of corruption that has been around since the ancient Olympics, that were founded in 750 B.C. So that type of corruption, that type of cheating has been around; that type of fixing has been around almost since the beginning of organized sport. There is a row of statues. . . outside the ruins of the ancient Olympic stadium and those statues were built with money taken from coaches and athletes that were caught fixing and cheating. That type of corruption, that type of fixing, has existed for a long time. 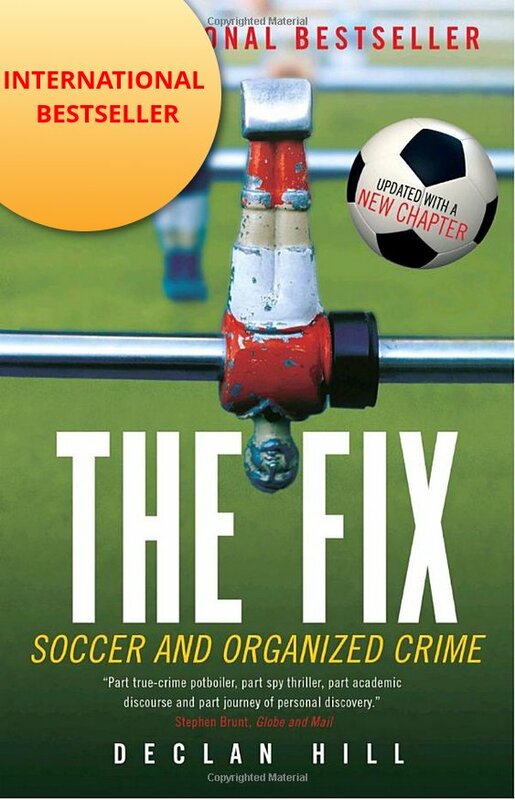 What my book is about is about a new form of fixing — which is globalization meets the sports corruption industry. And it’s a totally new form (of corruption) that we haven’t seen before. So globalization has hit the sports corruption industry. Q: Super Bowls traditionally attract a huge amount of gambling, much of it offshore. How has the NFL managed to stay largely scandal-free considering the amount of money that’s spent gambling on it? A: The problem isn’t how much money is spent on a sport gambling. The problem is really how much the players receive. The paradigm that drives a lot of fixing is if you have a lot of money spent on a sport gambling and very little money paid to the players. And this is the scenario of most Asian sports leagues. Most sports leagues in Asia, because of that paradigm, have now been thoroughly corrupted. There are a few sports in Asia that . . . are not corrupt but those are the exceptions. Most Asian sport has now degenerated into a joke. Q: Do you take a lot of flak when you say that sort of thing? A: Not from Asians, no. Asian sports fans know this. They’re tired of it. They’re angry with it and that’s why they’re switching their allegiance to NBA basketball or English Premier League soccer. They’re just tired of it. And you speak to a Chinese person about the Chinese Soccer League and they’re furious about the level of corruption. There was yet another example of match-fixing less than 10 days ago in the Hong Kong Happy Valley Club where they arrested six players and a number of officials as well. This is an ongoing war that’s taking place in Asia between the honest fans and the very few non-corrupt sports officials and this vast Asian gambling market. What’s happened is that the Asian gambling market is now corrupting the rest of the world. Q: Just how pervasive is corruption in sports gambling? Can you give us some numbers? A: It’s shocking. . . . They are now 60 national police investigations in 60 countries around the world. It’s affected tennis. It has affected soccer in a huge way. National teams have been fixed..
It’s just huge. It’s a massive, massive systemic problem. I’ve spoken before the International Olympic Committee. I’ve spoken before the British House of Commons Parliamentary committee on this. I’ve spoken before the European Council in Brussels. I’ve spoken before the Council of Europe in Strasberg. I’ve been asked to come in for a number of international sports associations, like Sport Accord, UEFA, various soccer associations around Europe. This is their number one threat to sports today. Q: More than a thousand players, coaches and referees have been arrested in soccer. How fixable is the sport? A: It’s very fixable and again I return to that excellent question that you set up, which is how much money is being bet on a sport versus how low are the wages. If you have a huge discrepancy between those two numbers, then you are going to get fixed matches. We’ve had fixed matches in Canada. According to international gambling experts, we continue to have fixed matches in Canada. This is a relatively low league. If you can have .. soccer games that are worth fixing in Canada, for goodness sake, of course you’re going to have them in other countries, where soccer is more closely followed. Q: Does your study of sports corruption hurt your enjoyment of watching mega-events like the Olympics? Can you still actually enjoy it on TV? A: Some of the stuff I can enjoy but it definitely has changed the way I watch sports now. And what I fight for now, what I spend my professional career trying to do, is to ensure that sports are protected. That’s why I have written this second book; to give people the tools to understand so we can fight against it, understand the phenomenon. That it’s a new phenomenon and I believe frankly that if we get the right people in charge we can win this war.